Space planning is the foundation for your interior design, so it’s a crucial step in the whole process. It’s similar to a blueprint that architects use because it shows all of the design details you need to proceed with the project. If this step is not done correctly, it will have a negative impact on the overall design. In order to plan accurately, you need to understand how to arrange furniture in such a way that you have plenty of room to walk and move around while maintaining functionality and comfort. You’ll also need to understand scale and proportion so you can choose the right size furnishing for your home. For this reason, it takes someone with both design knowledge and experience to handle this part of the design successfully. Before you can implement space planning into your interior design, you need a good understanding of what you want and need to include in your design. A few basic items should be included in all designs such as appliances, dining room sets, sofas, chairs and bedroom suits. You’ll need to begin with these basic items and then add your own personal wants and needs to the design. What is the main function of the room? What is the focal point of each room? What kind of atmosphere do you want to create? Once you have a list of all the things you need and want to include in your design, you can begin creating the floor plan. A two-dimensional sketch of your floor plan will help you determine where to place your furniture based on the length and width of each item. Begin by adding everything you need first and then see how much space you have left. Then you can add in the things that you want in the order of importance to see how everything fits together. Your sketch will give you an aerial view of your floor plan that will help you distribute the furniture evenly throughout the rooms. Once you’re finished, you can see if there is enough open space between pieces to move around easily. The best design will have good traffic flow without wasted space. It will also include enough storage space to keep your home neat and clean. Professional designers use computer-aided design or CAD software to create the floor plan. This allows you to view the design in both two and three dimensions so you can get a better idea of how everything looks. This software makes it easy to create the perfect design because you can make all of the necessary changes before construction begins. Proper planning will ensure you utilize your space wisely and prevent overcrowding. When you’re ready to begin your project, contact us here at J. 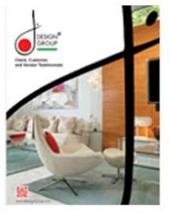 Design Group for a design consultation and to learn about the services we provide.